The Asian Business Leadership Forum (ABLF) marks its 11th anniversary, on October 6, 2018, at the Armani Hotel, Dubai, with a special edition of the ABLF Awards dedicated to the Father of the Nation, the late Sheikh Zayed bin Sultan Al Nahyan, under the theme 'Leadership Legacies: Honouring the past. Shaping the future'. The ABLF has been held under the Royal Patronage of H.H. Sheikh Nahayan Mabarak Al Nahayan, Cabinet Member and Minister of Tolerance, UAE, since 2007 and is in official association with the UAE Ministry of Economy. The upcoming awards night hosts an exclusive 250-strong audience of Asia’s finest leaders and will witness the felicitation of 15 visionary and innovative stalwarts. The UAE's status as one of the most progressive and proactive nations of the world – a global hub that is both geographically and culturally in commune with a multitude of exciting business and economic agendas, facilitates the efforts of this powerful recognition platform to host and celebrate these exemplary leaders. 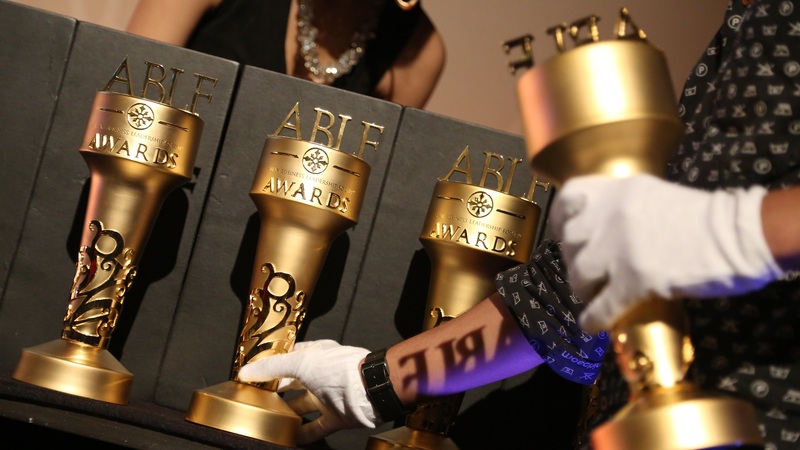 The ABLF’s success is largely owed to the unstinting support of its partners through the years. In 2018, Senaat and NPCC lead the narrative as the Presenting Partners for the third consecutive year. The platform also receives the support of Dubai FDI, Dubai Chamber and District1 as the Associate Partners with a spectacular showcase by Rolls-Royce and Dhamani as the Luxury Partners. The ABLF Network (including the Alumni) forms the core essence of the ABLF value as it connects the policy-makers, the thought leaders and the strongest influencers, whose vision and purpose drive the Asian Century. H.H. Sheikha Fatima bint Mubarak, Mother of the Nation, UAE; H.H. Sheikh Ahmed Bin Saeed Al Maktoum, Chairman and Chief Executive, Emirates Airlines and Group; H.E. Tun Abdullah Badawi, Former Prime Minister, Malaysia; H.E. Reem Ebrahim Al Hashimy, Minister of State and MD, EXPO 2020, Chairperson Dubai Cares; H.E. Dr Sultan Ahmad Al Jaber, Minister of State and Chairman of the Board, Masdar and CEO, ADNOC; H.E. Khaldoon Khalifa Al Mubarak, Managing Director and Group CEO, Mubadala; H.E. Mona Al Marri, Director General, The Government of Dubai Media Office, Ratan Tata, Chairman, Tata Trusts; Gopichand P Hinduja, Chairman, Hinduja Group; are a few of the highlights of the ABLF Awards legacy. With an impeccable line-up of the ABLF Awards recipients who will be formally announced at the event and whose visionary leadership and tremendous achievements are legendary, the ABLF Awards 2018 is all set to open the doors to what promises to be a remarkable Awards night.